Legend has it that the Greek God of Wine, Dionysus (who was initially a Thracian god) was born in Romania. It is no surprise that in antiquity, Plato himself, declared the vineyards of Getae (Romania, as it was known to the ancient Greeks) to be the best in the world. Once the Romans came on to the scene, the peoples and the the kingdom of Getae became known as Dacia. With Emperor Trajan’s conquest of these lands in the first century of the common era, Romania has been dominated by Latin influences. The language is in fact, along with Italian, Spanish, Portuguese, and French, a Romance language. Tucked away in the southwestern corner of Europe, where the Blue Danube opens into the Black Sea, the ancient land of Romania can boast a proud history of making wines for over 4,000 years. Contrary to popular myth, Gypsies do not traverse the land. There are no vampires in Romania. Count Dracula and his minions do not dwell in the Carpathian Mountains. Romania is simply one of the world’s largest wine producers. Most international varietals thrive due to the country’s rich soil and dry summers. 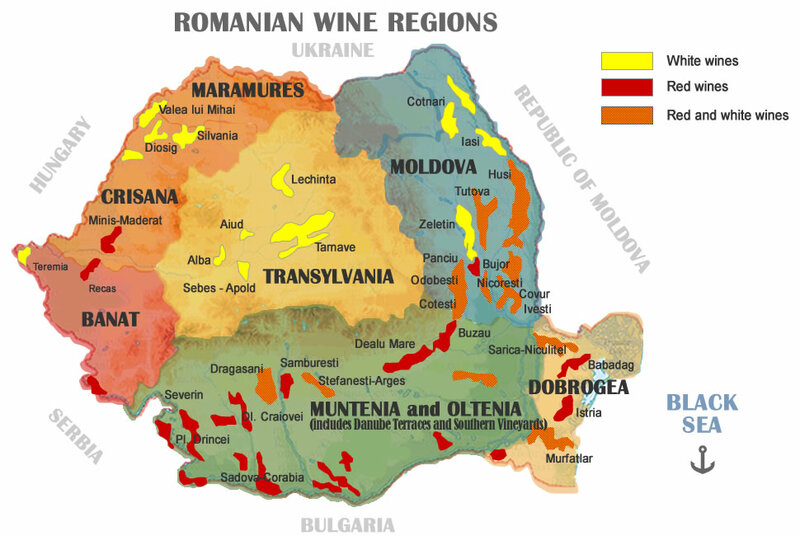 After watching Eve and Paul Kalemkiarian’s review of a Feteasca wine, I decided to share some of Romania’s indigenous varietals with our readers. Today I am in the city of Bucharest with Long time friend and fellow sommelier, Valeria Dadiani. We are in Bruno’s, a small and cozy wine bar that is renown for its selection of wines. 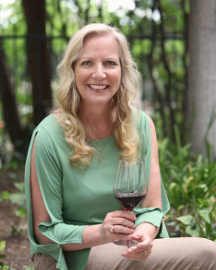 “Bruno’s is definitely one of the capital’s most popular wine bars,” she flashed a wide beaming smile as she poured our first selection. Feteasca Alba, the “white maiden” in Romanian is widely grown throughout the region of Transylvania. 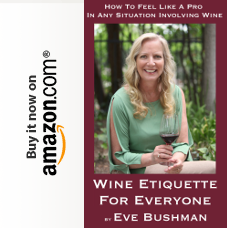 In essence, it is a wine for all reasons. So versatile, Feteasca Alba is used to make everything from dry, semi-dry, sweet, and sparkling wines. The wines all share a distinctive peachy aroma that is quite similar to that of Muscat. 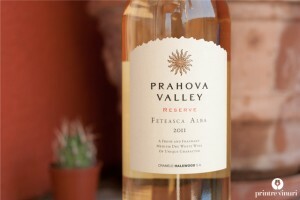 Valeria had selected a 2011 Prahova Valley Reserve. Fermented in stainless steel tanks for 14 days, the result is a wonderfully fresh wine that is medium dry, and very easy to drink. In the glass, the 2011 is an enticing pale yellow. The bouquet exudes aomas of exotic fruits, white flowers, and elder trees. The alcohol content is 13% with a price tag of $20. “Nicely done,” I lauded her as I refilled our glasses. Our next selection, Tamaioasa Romaneasca is also widely planted throughout the Transylvania region. The varietal is from the Near East family of Muscatel. It is believed that the Greeks and Romans, who favored their natural sweetness, were the first to bring these grapes to Romania. 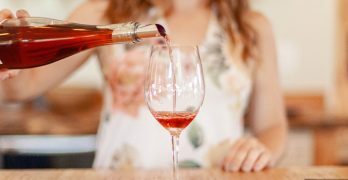 Due to their natural sweetness, the grapes are a preferred choice in producing aromatic wines, and is easily distinguishable by a pronounced honey-like bouquet. Valeria selected a Prince Stirbey Tamaioasa Romaneasca Sec 2012. 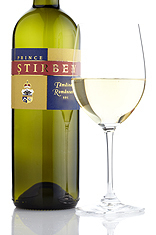 The Stirbey family not only produces wines of distinction, their name is synanomous with the developement of wines in Romania. In the glass, it is a radiant yellow, striated with greenish hues. Upon opening the bottle, I was greeted by an unrivalled symphony of aromas. The inviting floral bouquet that is filled with pears, strawberries, and honey. There are also notes of spices laced with hints of basil and freshly cut hay. The wine is fresh, with good acidity and very easy to drink. The finish is soft and clean. The alcohol content is 13% and an excellent buy at only $15. “What about food pairings?” I queried. Our next selection, Busuioaca de Bohotin, is a light red wine. It originates in Bohotin County which is located in the southeast of Romania. One distinguishable characteristic of this wine is the slight hint of bitter almonds on the bouquet. In flavor, this style of wine resembles honeysuckle, strongly influenced by ripe juicy peaches. 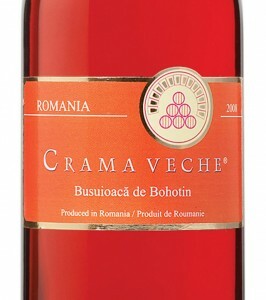 Valeria selected a 2010 Crama Veche Busuioaca de Bohotin. In the glass the lovely light red color casts a welcome invitation. On the nose, the bouquet is bursting with fragrant honeysuckle and ripe peach. Light and well balanced, the 2010 is the perfect wine when lounging around with that special someone. The alcohol content is 13% with a price tag of $12. Our last selection, Babeasca Negra, is an old native Romanian varietal which dates back some 2,000 years. 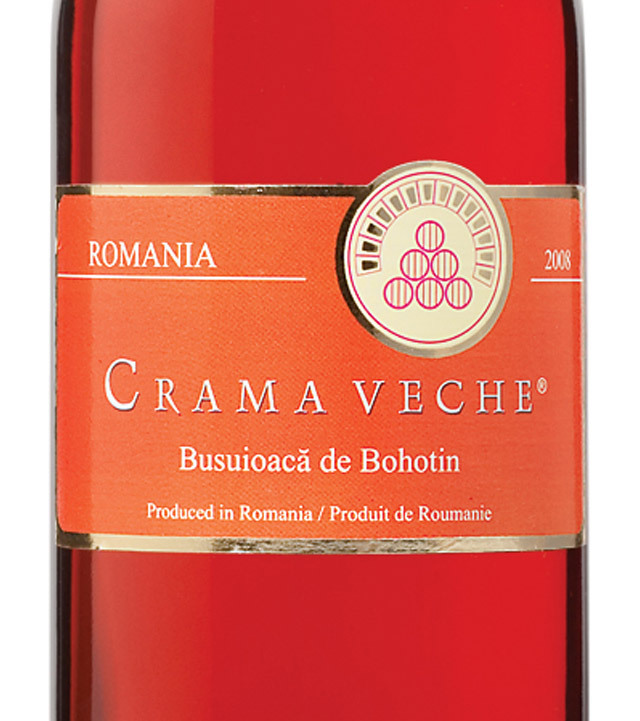 The name translates as “grandmother’s black grape.” Reigning as Romania’s most popular wine, it is prolic throughout the regions of Moldavia, Dobruja, and Wallachia. (the kingdom of the infamous Prince Vlad Dracula) Most wines produced from this varietal are light and fruity, and meant for early consumption. Valeria selected a Monser Babeasca Negra Demised. In the glass, this inviting semi-dry ruby-red wine is striated with black currant hues. The nose is permeated by well-ripened grapes. On the palate, this demisec is pleasant and crisp. The mouth feel is vibrant, yet subtle, with a unique flavor all its own. I did detect only a faint taste of sour cherry on the mid-palate.The finish is long and well-rounded. The alcohol content is 13% and a price tag of $13.